Roadside Attractions (and Distractions) - Mexico Border Towns ~ Learn, Live, and Explore! 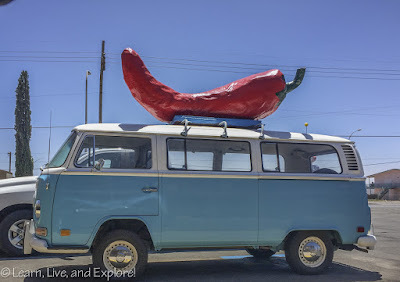 I can't travel to a new place in the U.S. and not see what kind of fun and odd things are on the side of the road! 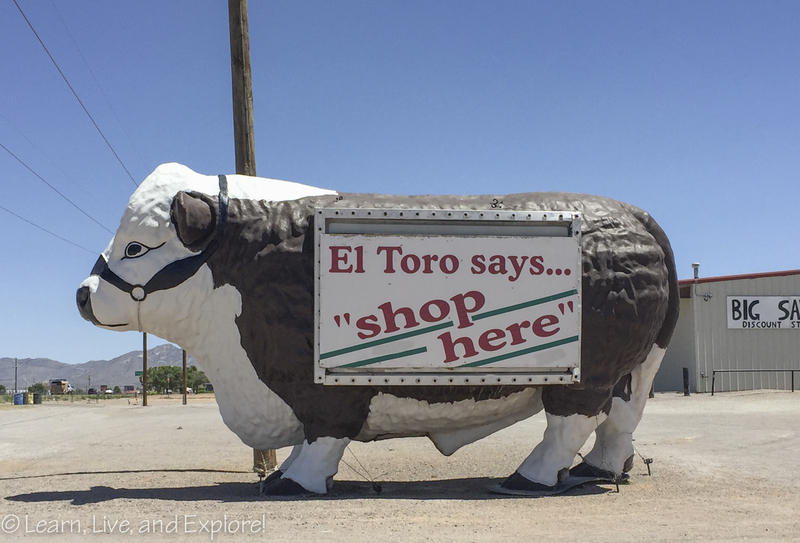 During a trip to White Sands National Monument, I traveled the El Paso - Alamogordo - Las Cruces triangle and found some gems, thanks to advance research done on Roadside America (the best!). 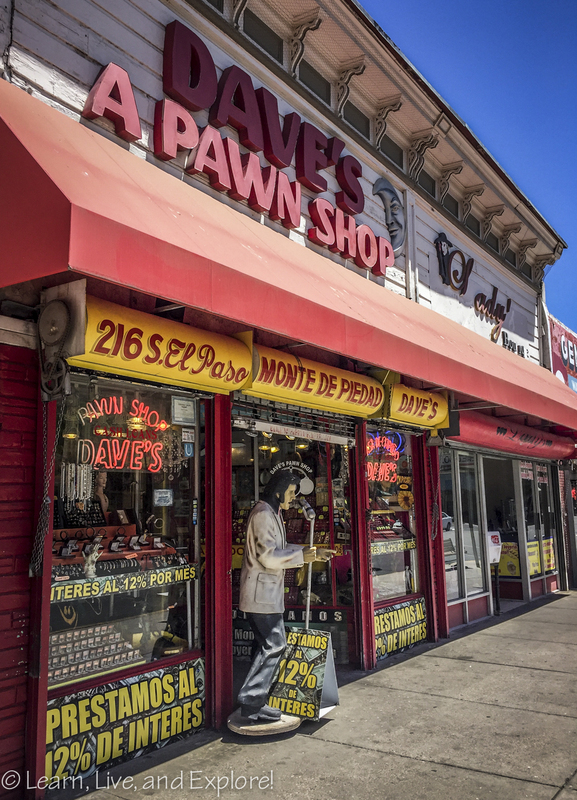 I had actually done some research on the I-10 corridor before when I had considered a road trip from LA to Austin, so I was glad to finally make it to Dave's Pawn Shop...see the story below! In January 1961, Ham the chimpanzee was the first of 6 monkeys that "graduated" from a chimp space training program to be launched into space. 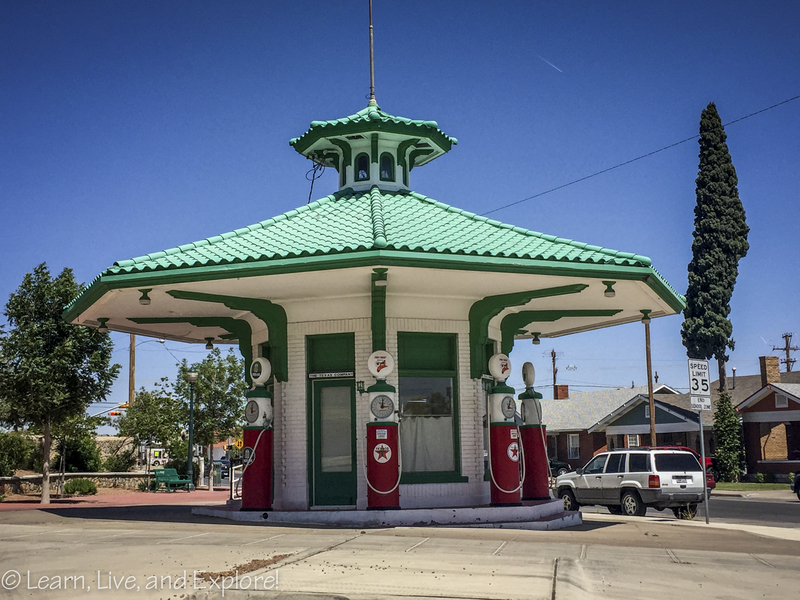 During his training, he learned how to do some simple tests while on his mission. These tests resulted in scientists learning that similar tasks can be performed in space, though likely in a slower amount of time. 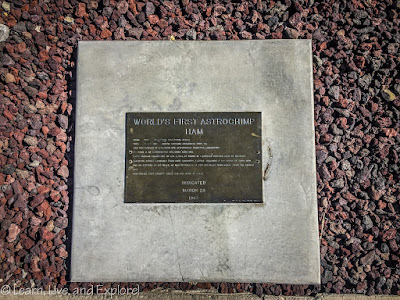 Ham survived his up and back in a day space trip, and was sent to live out his life at the National Zoo in D.C. 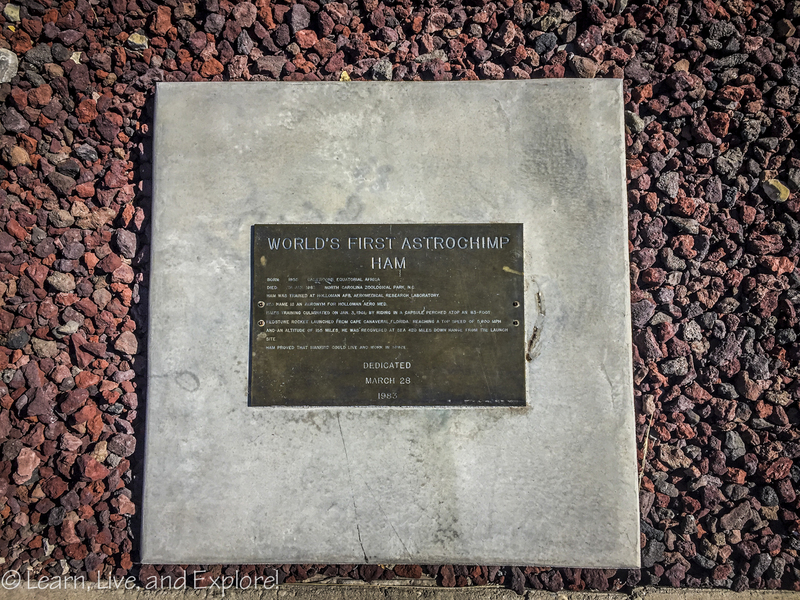 He now rests at the Alamogordo Space Museum. 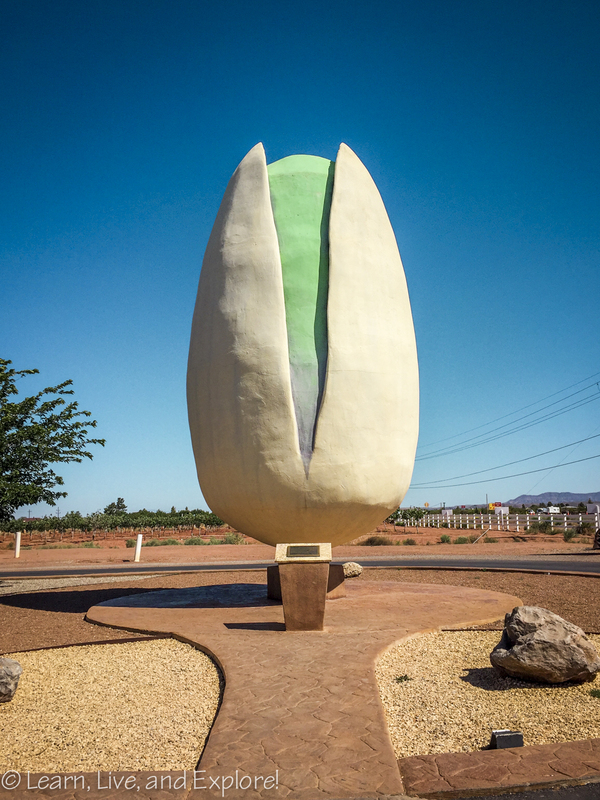 Located at McGinn's Pistachio Tree Ranch on US 54, you can't miss this giant nut statue. After taking your photos, make sure to head inside the gift store to taste some interesting flavors of pistachios and pistachio-based food products. 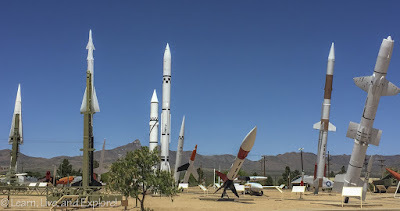 I didn't expect the missile museum to actually be located inside the military test base, so I was surprised to have to go through the extensive security screening, which included a quick background check and a complete inspection of my car (hood and trunk). 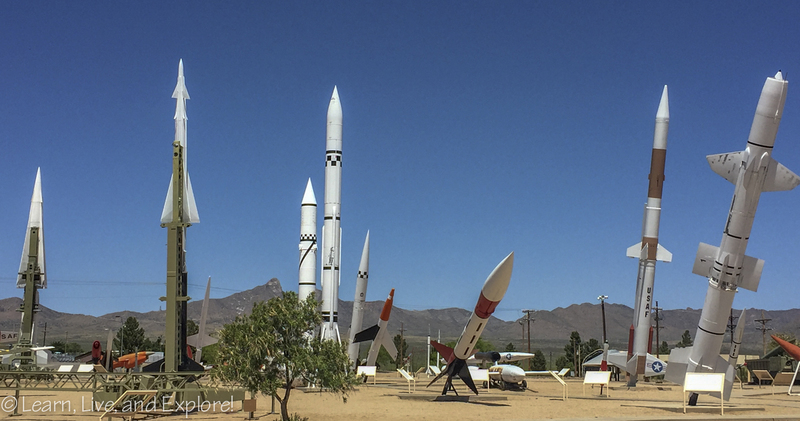 Once I passed the screening, the museum and missile graveyard are just up on your left. White Sands is most notable as being the first test site for the nuclear bomb, though the "Trinity" site is not close to the museum's location. 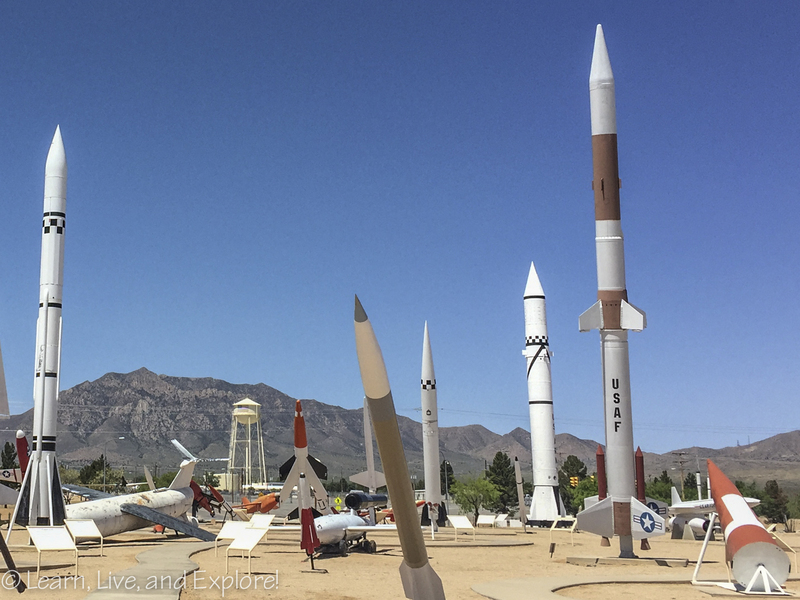 It was also where the post-WWII continued development of the V-2, the world's first guided ballistic missile, occurred. The V-2 versions built in New Mexico were an expansion on a Nazi missile, the Vergeltungswaffe or Vengeance Weapon, that destroyed many allied targets and cities. 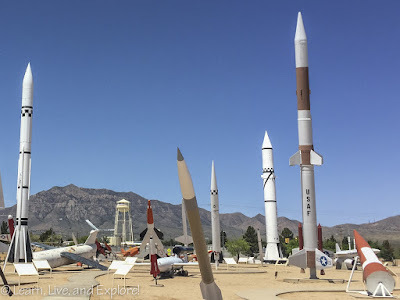 When many of the engineers that worked on the V-2 surrendered to the U.S. Army, including Wernher von Braun its inventor, a good portion came to America to continue their work using the 80 captured V-2s as a base. I do love me a muffler man! Located at Big Daddy's Flea Market off a frontage road next to Rt 70. Sadly, this man had his arms removed or stolen, but a clever handler hid it well with a big sign. At the other end of the flea market parking lot, you can't mis the giant El Toro! 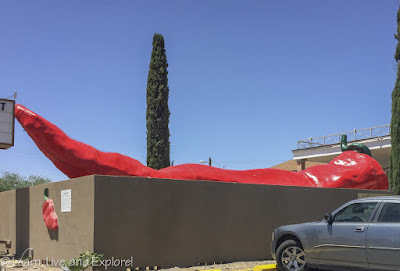 Well, I guess you know you're too popular when you have to build a wall around your 47 foot long fiberglass chili pepper and create an actual tourist attraction. That or maybe there was a history of consistent damage. 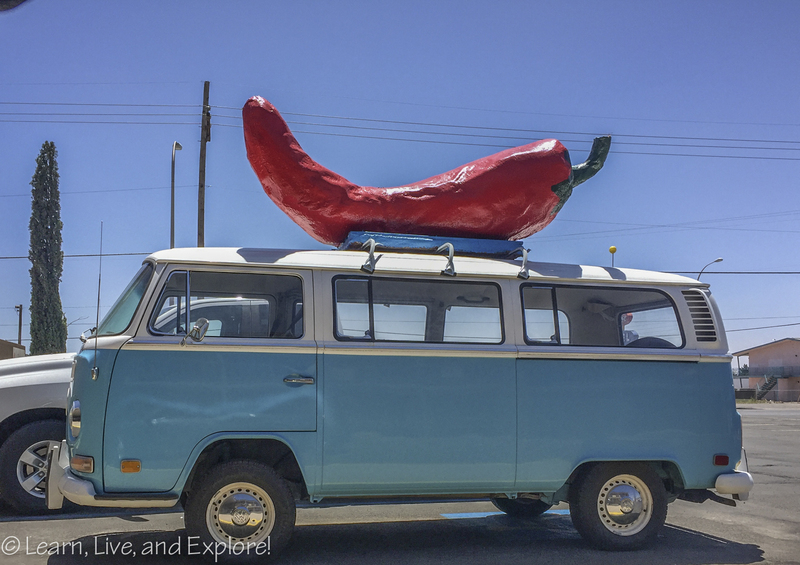 Even if you can't get a clear photo of the big daddy pepper anymore, you can find his mini me on top of a light blue VW bug. When I was in junior high, I went through a period where I was obsessed with the Young Guns movie franchise, the sequel in particular. 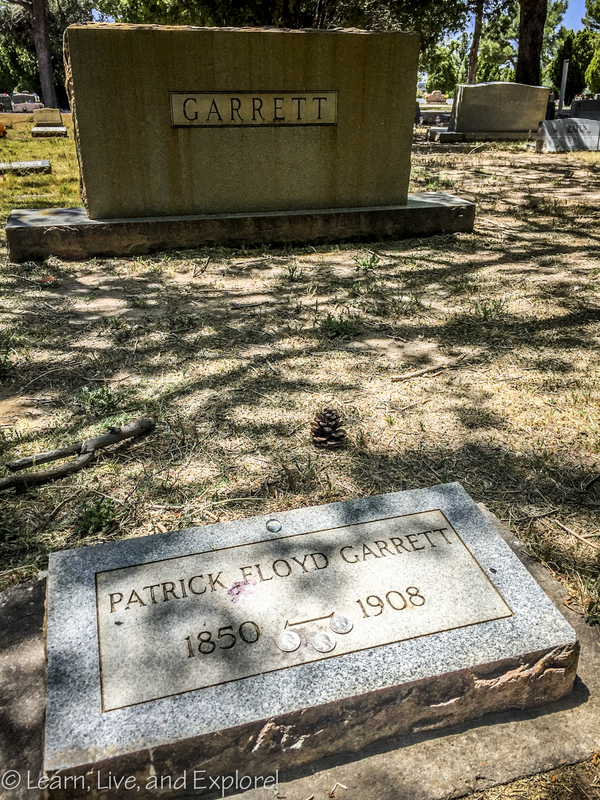 In that movie, Emilio Estevez's Billy the Kid character had his long-time friendship with Pat Garrett dramatically change to where he was being hunted and was finally killed by the man in the end (or was he??). 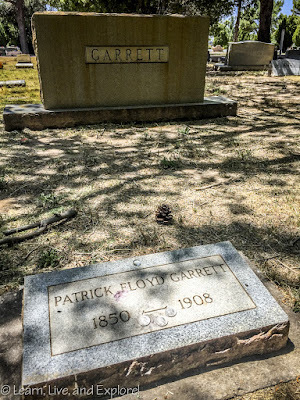 The Garrett family has a plot in a cemetery in Las Cruces, and you can see Pat lived another 27 years after the 1881 death of his former frenemy. 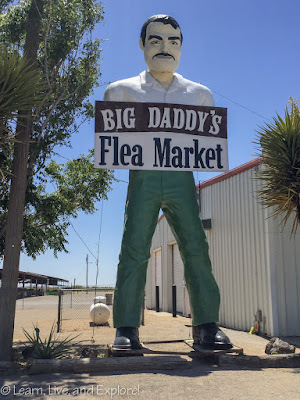 This stop was on my I-10 list of must-sees. 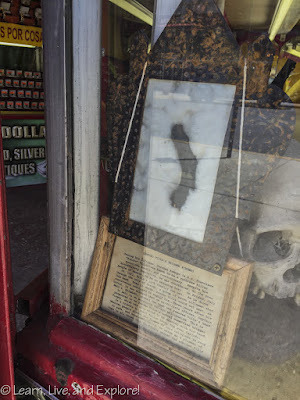 I walked into the shop too quickly to see that the mummified finger in a box was actually displayed in the front window. 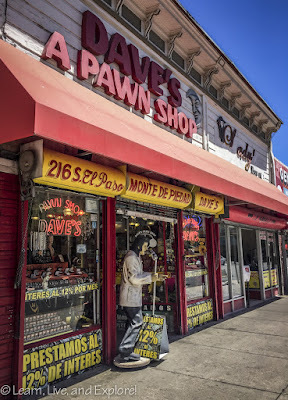 The shop is full of the standard pawn shop items as well as some really weird preserved animal body parts, as well as mummified animals and an actual human (allegedly). I'm not sure which came first, the finger or the other stuff, but the finger was pawned at the store in 2004 and has been there ever since. Not for the squeamish! 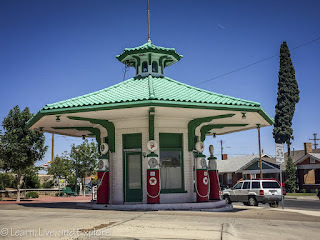 I've seen a lot of vintage gas stations, but never a round one. This station was a 2008 restoration. It's on the route back to the airport, so it was a perfect last stop for the trip.